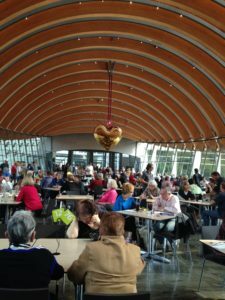 Straddling spring fed lakes and surrounded by 120 acres of native forest, the multi-million dollar Crystal Bridges Museum of American Art is one of America’s most exciting museums. Everything about it is unusual, including the location: Bentonville, Arkansas, population, 40,000. 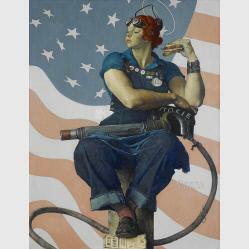 Rosie the Riveter by Norman Rockwell, 1894 – 1978. Courtesy Crystal Brides Museum of American Art. Why Bentonville? Because this small town in northwest Arkansas is the home of Walmart, and the museum’s guiding spirit is Alice Walton, arts patron and heiress to the fortune of the company founded by her father, Sam. Alice commissioned Israeli-born architect Moshe Safdie to create a remarkable gift to her town. Named for the natural springs forming lakes and the glass-enclosed bridges that span the water to connect galleries on either side, Crystal Bridges is a showcase for the natural beauty of the surrounding Ozark woodland as well as the collection of first-rate American art within. Much of the striking architecture is also practical. The curved wooden ceilings add drama while helping to support the weight of the glass walls. Adding to its pleasures, the museum can be reached by an art-studded wooded nature trail starting in the center of town. 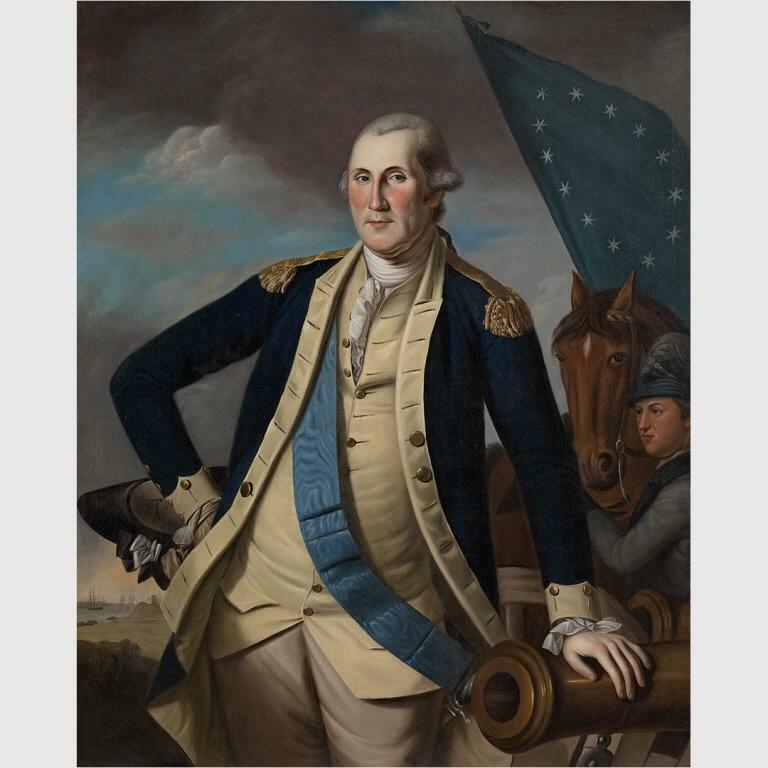 George Washington by Charles Willson Peale, 1741 – 1827. Courtesy Crystal Brides Museum of American Art. The growing collection spans five centuries of American art from the Colonial era to the present day. Some of the signature paintings include Charles Willson Peale’s George Washington, Asher Brown Durand’s Kindred Spirits, Mary Cassatt’s The Reader Marsden Hartley’s Hall of the Mountain King and Norman Rockwell’s Rosie the Riveter. Other significant works are by John Singleton Copley, John Singer Sargent, Thomas Hart Benton, Stuart Davis, Mark Rothko, Roy Lichtenstein and Andy Warhol A Jeff Koons polished gold Hanging Heart, some 9 ½ feet wide, hangs from the ribbed ceiling of the museum’s Eleven restaurant, where the menu makes good use of the local farmer’s market. A Jeff Koon’s sculpture, Hanging Heart, in the Eleven restaurant. Photo by Eleanor Berman. Partnerships are increasing the museum’s stature. Georgia O’Keeffe’s Radiator Building-Night, New York is part of the Alfred Stieglitz Collection, co-owned with Fisk University. A joint effort with the Musée du Louvre, the High Museum of Art, and the Terra Foundation for American Art focusing on the history of American art has resulted in four exhibitions. The final exhibit, American Encounters: The Simple Pleasures of Still Life opens at the Louvre on Feb. 5, 2015 and moves to Bentonville May 16 to September 14, 2015. The attractions will grow with the reconstruction on the property of the Bachman Wilson House, a Frank Lloyd Wright Usonian home. Originally built in 1954 along the Millstone River in New Jersey, the home was threatened when successive river flooding encroached on the property. The owners, Lawrence and Sharon Tarantino, determined to find someone who could move and preserve the house and Crystal Bridges stepped in, The house was acquired in 2013, complete with all its interior fixtures and furnishings and the restoration is due to be completed sometime in 2015. 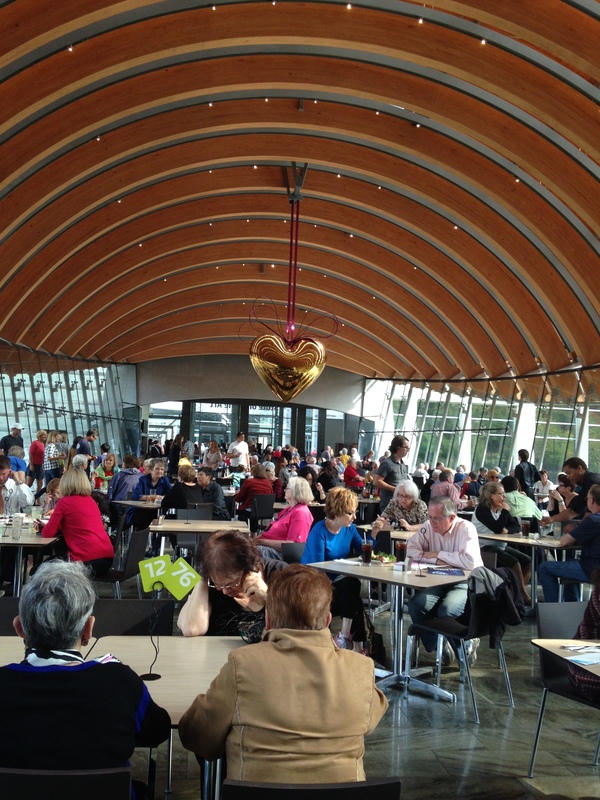 Crystal Bridges is open seven days a week and is always free. Well over a million art lover have made a pilgrimage to Bentonville since the opening on November 11, 2011 and the town has changed a bit to accommodate them. Visitors will now find a trendy art-filled lodging, the 21C Museum Hotel, with a chef at the Hive restaurant who was a James Beard finalist. Dining choices around the town square now range from good Italian and Arkansas barbecue to crepes, and sushi. If you go, don’t fail to check out another Bentonville surprise. The Museum of Native American History holds a world class private collection of Indian art and artifacts that would stand out in cities many times its size. Eleanor Berman, a New York freelance writer and award-winning author of a dozen travel guides, has covered 82 countries and all 7 continents. She has written for many national publications, including Travel & Leisure, Ladies’ Home Journal, Diversion, Robb Report, Boston Globe, Atlanta Constitution, Denver Post, Miami Herald, and the New York Daily News. Among her guide book awards are a Lowell Thomas award for Traveling Solo, Thomas Cook Book of the Year for Eyewitness Guide to New York, and Independent Publishers IPPY award, best guide of the year, for New York Neighborhoods. Another, frequently overlooked, but fabulous place to stay is Pratt Place Inn and Barn. It is the finest place to stay in Northwest Arkansas. They just received the prestigious Four-Star Hotel award from Forbes Travel Guide.